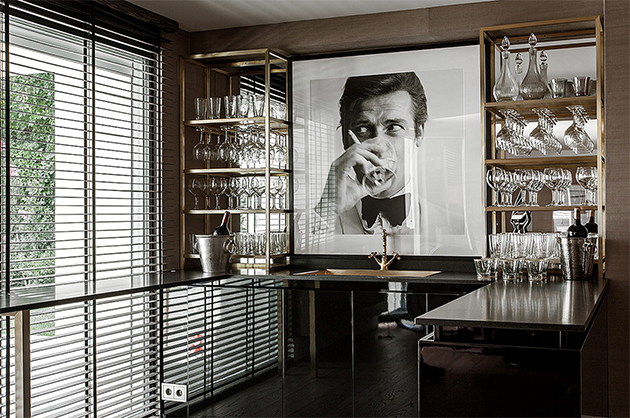 A passion for architecture and good design is an integral part of Luisa Olazábal’s DNA. Her grandfather was an architect, her father is an accomplished architect and her mother is a renowned decorator. 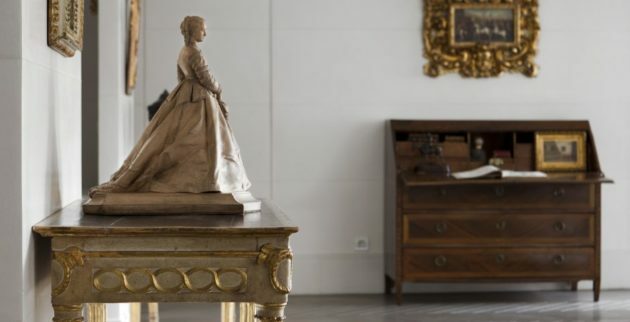 Luisa was nursed with good taste, a brilliant sense of proportion and an incomparable design aesthetic that is recognized not only in Spain, but around the world. 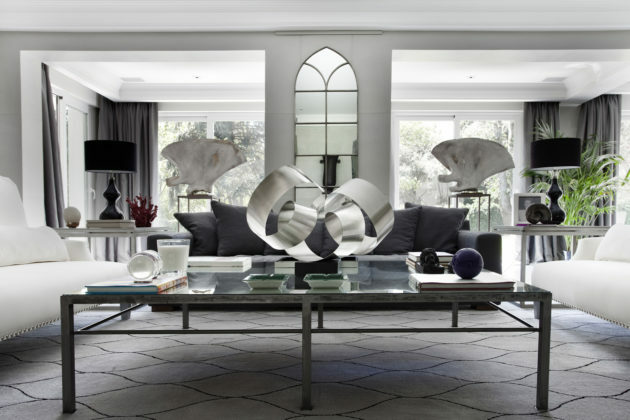 Luisa has been the head of her successful, eponymous design studio since 2003. A one-stop, multidisciplinary studio where you can find all kind of services; from architecture, to interior design, the decor and even (an often forgotten design aspect) landscape design. A team of 19 professionals in all different disciplines of design are led by Luisa with one single view: “Always listen to your clients needs and exceed their expectations with amazing function and outstanding design results”. 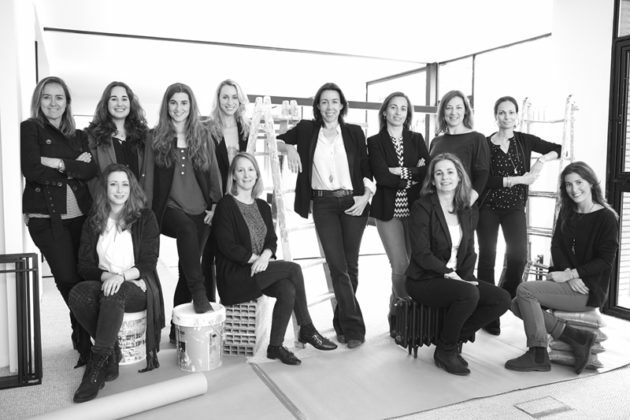 Luisa Olazábal and her talented multidisciplinary design team. Luisa’s love for natural materials has guided her to create timeless spaces that are rational and always completed in perfect harmony. A master of creating beauty without failing functionality. 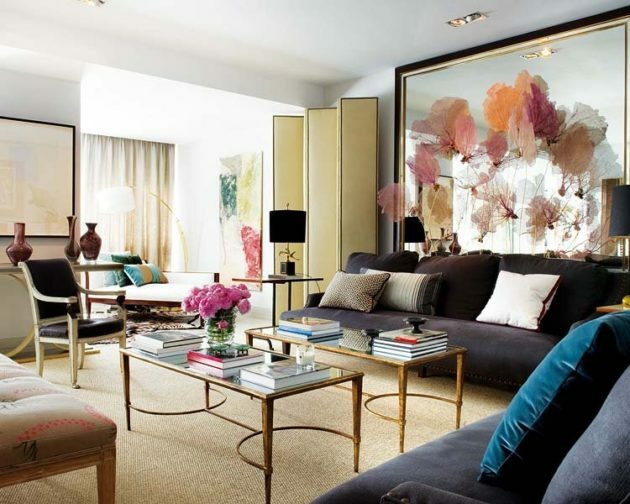 Her spaces have a unique warmth, they are always perfectly conceived and have a memorable signature style. Every project is a class act and the result of the high quality work they produce every day. It is an honour to have the opportunity to interview Luisa Olazábal – an authentic lady of design in every sense of the word. Luisa Olazábal – Since I was born, I have been surrounded by architects. My grandfather was an architect, my father is an architect and my mother was a decorator. Since I was a child, I was already hooked and in love with design, aesthetics and proportion. I can say that I carry architectural DNA in my blood. Luisa Olazábal – For me it was always clear that I wanted to study interior design ,and that it is exactly what I did in Madrid. As soon as I completed my degree I took a master’s degree in Art and Antiques. 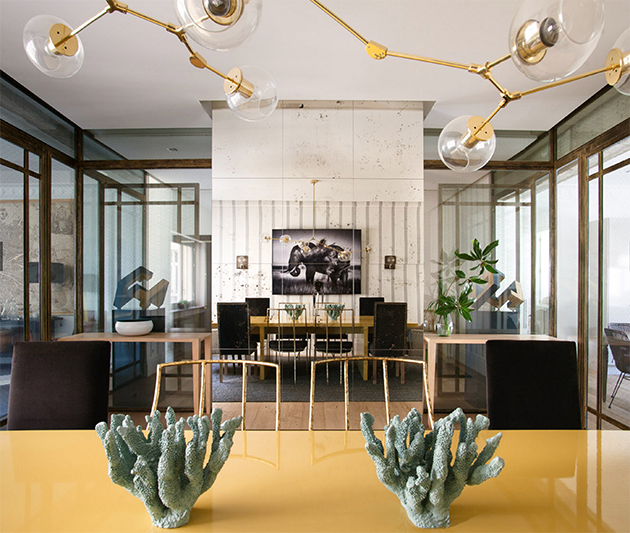 Mi first experience in design was a four year internship under the wing of Isabel García Tapia, a very well-renowned interior designer in Spain. Isabel was an incredible guide and a wonderful woman. For several years I was an associate in many design studios. Then, for personal reasons, I moved to London. In 200,3 I decided to launch my own studio. At the moment, we have a team of 19 people involving architects, interior designers, art specialists, and people in charge of finances and communication. 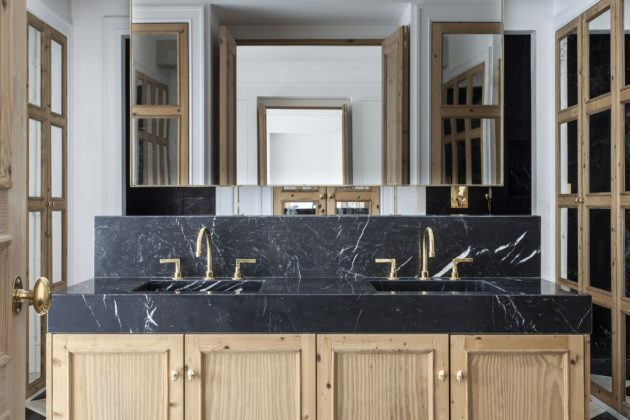 Iván Meade – You have accomplished something very unique in the interior design world; creating a strong, extremely well recognized, beautiful and clean signature style – In this same manner however, your style keeps evolving – How or where do you find your inspiration to create the Olazábal Style? Luisa Olazábal – I dont’ know if there is a Luisa Olazábal style, but I really appreciate that you are telling me this. Every day I find inspiration in my everyday life: my 5 kids, the youngest one inspires me all the time as he is very creative. A walk in Madrid, a building, an art exhibition, a dress, travel, magazines and books, movies, RRSS and over all with my incredible team. We give a lot of importance to the creative aspect at the studio, we have a department to create and develop new ideas. We make a weekly reunion with the whole team and everybody has the opportunity to propose a new colour, a new material. You need to always be open to new opportunities and ideas and embrace them. I believe this is what makes our studio so unique! Luisa Olazábal – Design for me, is the right balance between aesthetics, functionality and proportion. It is our priority to design with a timeless perception. 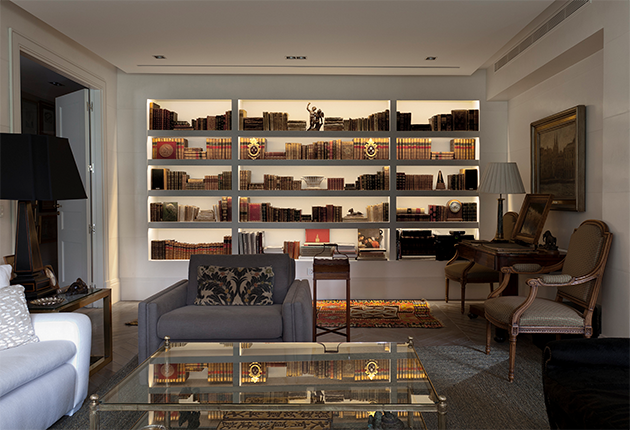 Our studio approaches all kinds of projects: Hospitality, Commercial, Restoration and most of all, Residential Design. It is always fundamental to listen to the clients’ needs, and to adapt ourselves to their daily needs, without losing our signature style. 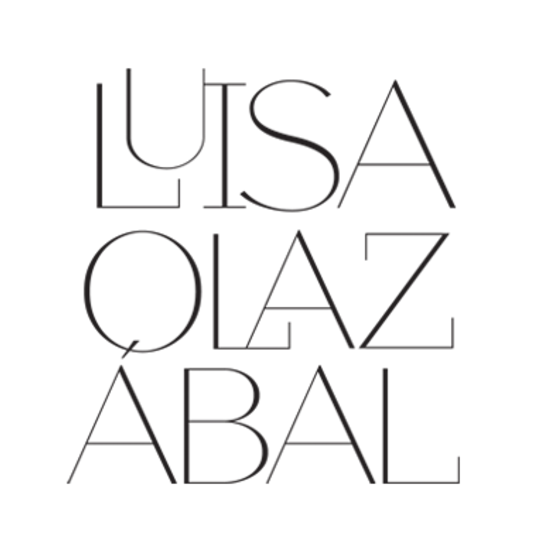 Luisa Olazábal – I believe the use of materials. They always have been the protagonists of our projects. 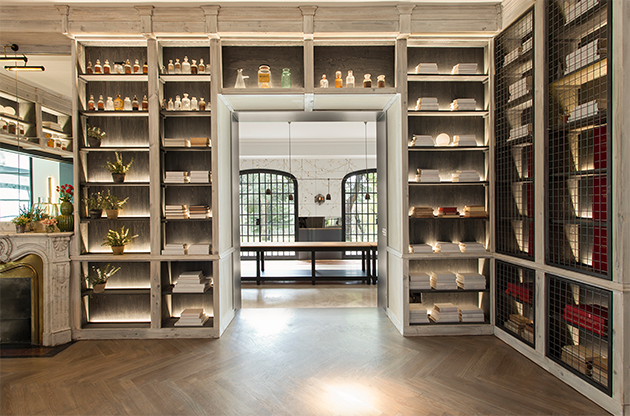 We love the use of natural materials, materials that are crafted by skilled artisans like clay, cotton and linen. One of the things that surprises them most is how we use all the pieces that we design for the project. It can be a piece of furniture or a wall made of perforated iron, brass lamps, doors, reclaimed and re-stained wood floors, wood structures and concrete gestures. 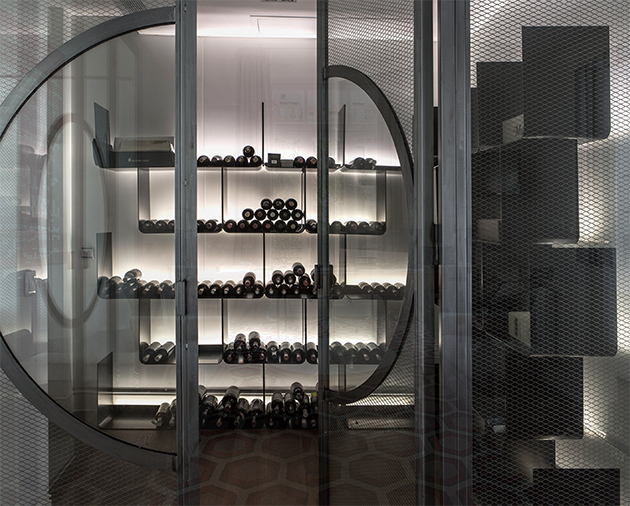 The possibilities are infinite and this is why clients find our approach to design surprising and unexpected. Luisa Olazábal –The projects I enjoy the most are when the client gives me carte blanche. I have been very fortunate that this has happened more than once and this is the best gift you can receive. Luisa Olazábal – I believe that the most important advice is to have your own style and to use this to differentiate yourself from everyone else. 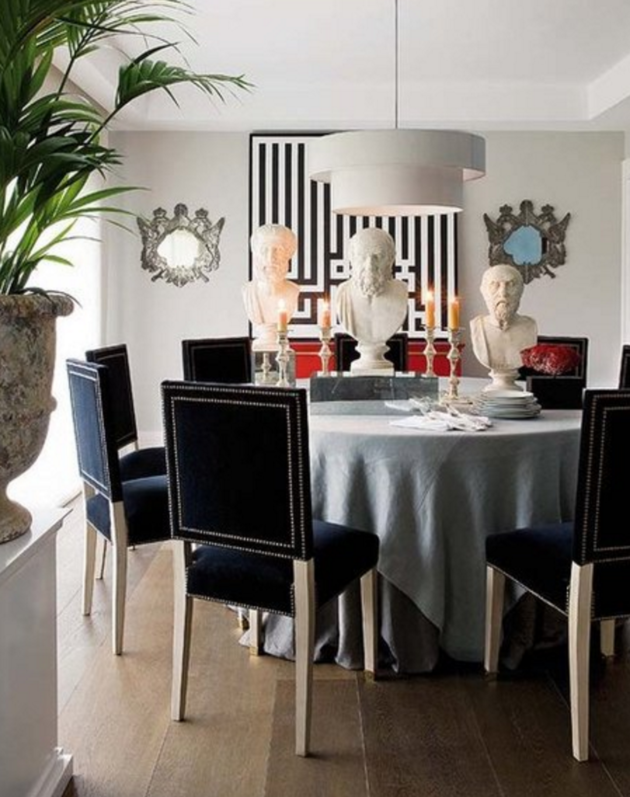 It is important not to abuse the use of classic furnishings, trends, and up-to-date colours. Inspirations from the point of classical art is always a good reference. At the end of the day, the trends always come back with a new reinterpretation. Play on that! Iván Meade – You are running a multidisciplinary design studio mixing different practices like architecture, interiors, graphics and furniture design which is not as common in our industry. As a principal designer, what is your biggest challenge and how do you resolve it? Luisa Olazábal – More than a dilemma, it has become a goal: Always looking to achieve harmony as a joint effort. Our studio can start a project from its inception; The exterior of the building, the interiors with every aspect needed, millwork, walls, trims, and finishes. 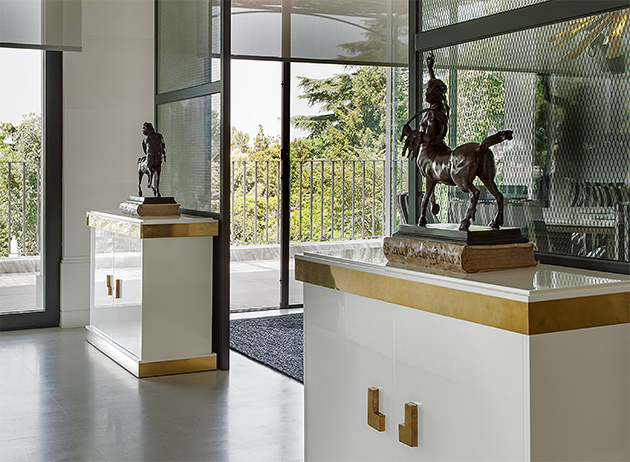 The decorative style that we like to approach has different elements for the use of light, our own furnishings mixed with both antiques and modern pieces, and landscape design (which is often forgotten and it is so important to convey). Iván Meade – In your humble opinion, what do you think every client needs? 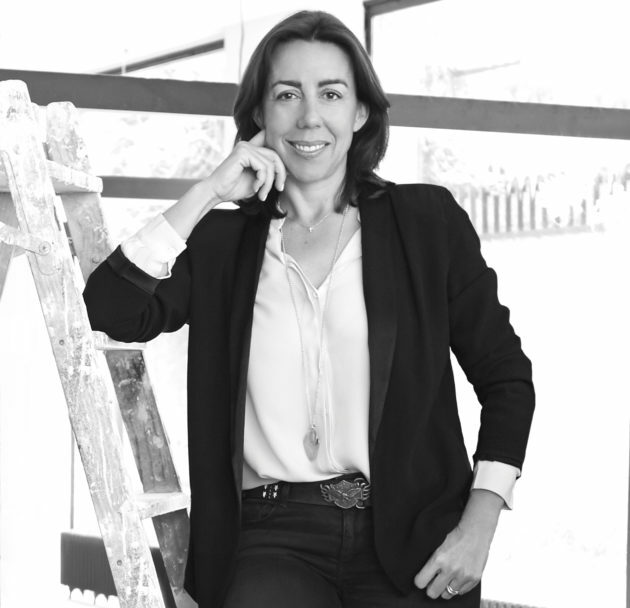 Luisa Olazábal – None of ours clients are the same, every client and every project is unique. The hospitality clients have a guideline of what they need for their brand and general perception, and they lack flexibility that you can find with another type of client. At the end of the day, the main goal is to make the spaces warm and inviting. In the Commercial projects, you have to adapt yourself to the clients needs, as clients I am making a reference to the people that the business is directed at, their workspace for internal needs and an area to display product (if needed). The Residential projects have more infinite opportunities. Some families have more kids than others, so you have to give a great importance to the kitchen, other families have more specific needs for the family room, even the entry hallways, living room and dining room will depend of the family needs. 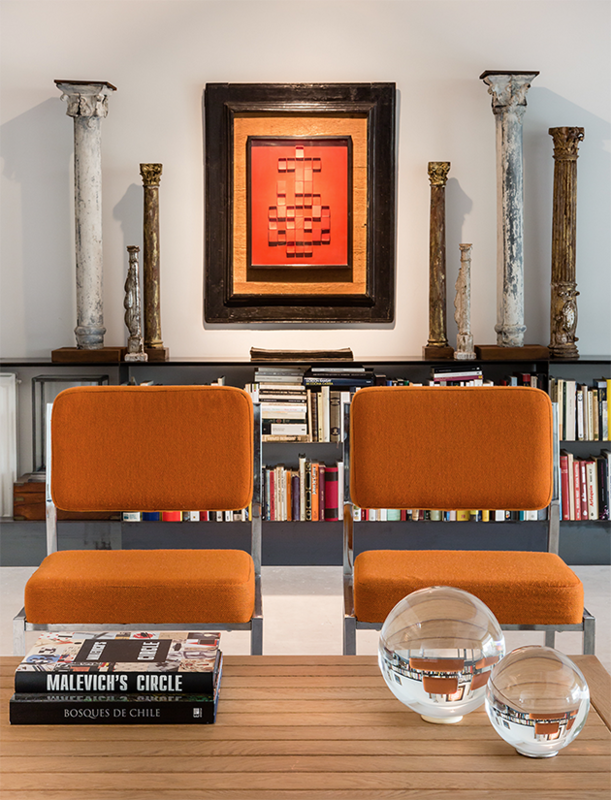 Other clients have great art collections, so finding the best way possible to display them is a primary focus. Other clients want us to design their sheets. As I said before, every client is unique and we need to adapt to the needs of each clients while showcasing the great design that has given us a name . Understanding the needs of the space is the first step – Always! Iván Meade – One of the characteristics that I really admire about your work is how you manage to have breathing space and let the eyes rest between focal points. Why is this important for you and how do you achieve this? Luisa Olazábal – We achieve this by using proportion and symmetry. If the idea keeps me calm, and I like it, I continue developing it. If the idea gets me uncomfortable, I quit the idea immediately. It is an instinctive reaction. Iván Meade – Another aspect that I find very interesting in your projects is the fact that you always create a moment that makes the project memorable. It can be a sculpture, a light fixture or just a bold gesture. How do you know what piece you are going to give the main stage in your interiors? Iván Meade – What is your favourite material and why? Luisa Olazábal – The Stone, first of all because it is neutral, because it is a material you can use inside and outside. You can use it to cover floors, walls, you can find it in many colours and textures. On top of all these qualities, it is a material that ages beautifully. The older the stone the more beautiful it is! Luisa Olazábal – Raffia, I love it on tables, chairs and to cover a wall or a window blind. I have been using it a lot in my projects. It is a material that is natural and that immediately warms any space. Luisa Olazábal – A house in the south of Spain. 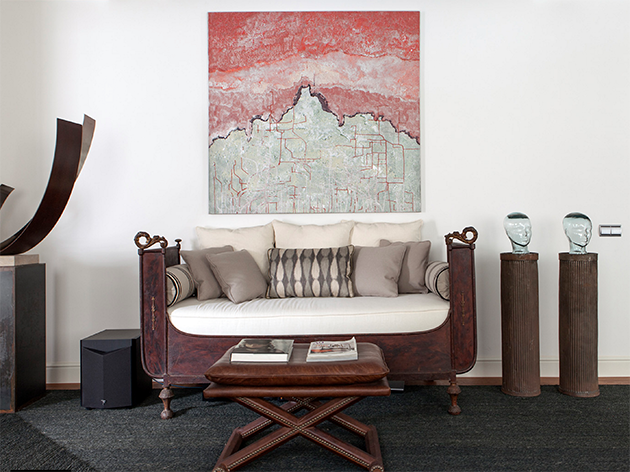 The clients gave us carte blanche with only one condition: that the house reminds them of Uruguay. Iván Meade – What is next for your studio? Luisa Olazábal – We want to continue our growth, but with order and always giving the best attention to our clients while listening to their needs. Our goal is to give an integral service with a one-stop service where you will find architecture, interiors, decoration and landscape design under one roof. Iván Meade – Lastly, you have already created a stunning body of work with many mediums and styles, and a splendid portfolio with more than 50 projects to your name. What would you like your legacy to be? Luisa Olazábal – We are so fortunate that other than all the projects published on our website, we have over 50 projects all around Spain. Our best legacy would be that we are recognized for our quality in design, and our style. Which is the main reason why all our projects are timeless.